When a small mistake costs sixteen-year-old Eagan her life during a figure-skating competition, she leaves many things unreconciled, including her troubled relationship with her mother. 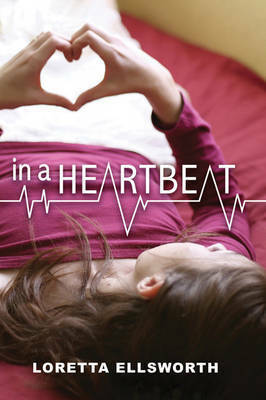 From her vantage point in the afterlife, Eagan reflects back on her memories, and what she could have done differently, through her still-beating heart.When fourteen-year-old Amelia learns she will be getting a heart transplant, her fear and guilt battle with her joy at this new chance at life. And afterwards when she starts to feel different dreaming about figure skating, craving grape candy her need to learn about her donor leads her to discover and explore Eagan's life, meeting her grieving loved ones and trying to bring the closure they all need to move on.Told in alternating viewpoints, "In a Heartbeat "tells the emotional and compelling story of two girls sharing one heart."